Heads up Target shoppers, here’s a great grocery deal that you don’t want to miss! 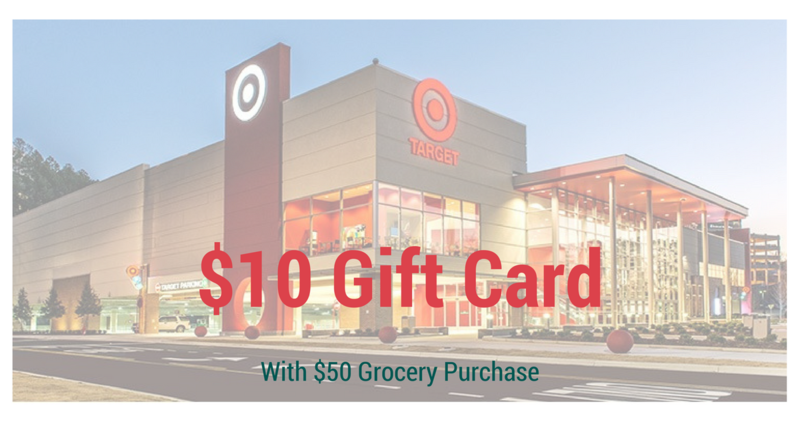 Starting today and going through 11/23, you can get a Free $10 Target Gift Card when you buy $50 or more on select food and beverage items. To get the coupon, text GROCERY to 827438 and show at check out. You can also grab the coupon in the Target weekly ad starting 11/19. The coupon excludes baby food, pet food, Target Cafe and Starbucks cafe purchases.